Of the five scripts nominated for Best Original Screenplay, four were written or co-written by their director and four are for films also nominated for Best Director, while only three are nominated for Best Picture. Four of the writers are also previous Oscar nominees, though none has previously won. That is likely to change this year. Only one of these scripts is based on a true story, while another was inspired by various works of fiction and non-fiction by a popular Austrian author. Three of the entries are by writing teams (or were rewritten by a second writer), whereas all of the scripts in the adapted category have only one credited screenwriter. Two of the contenders here are among the most unique film projects in recent years, one having been filmed a few weeks a year over a twelve-year period, the other shot in thirty days but designed to look like one continuous shot for its entire running time. Birdman and Boyhood are the frontrunners in the Best Picture and Director heats, where they are likely to split the wins. But are their creative triumphs due solely to their unusual filmmaking styles, or are they based on outstanding screenwriting as well? If the purpose of the Academy Awards is to legitimize the artistic merit of filmmaking, then it's no wonder Oscar voters have taken to this tale of an aging movie star who sets out to prove he can act on the legitimate stage. A real actor's movie, Birdman is not surprisingly the only film this year with three acting nominations. A remarkable technical achievement as well, the Academy has bestowed upon it a total of nine nominations, including Best Picture, Best Director, Best Cinematography (by last year's winner, from Gravity), sound mixing, and sound editing, putting it in a first-place tie for the most nods this year. Mexican filmmaker Alejandro González Iñárritu burst onto the scene in 2000 with Amores Perros, winning the Critic's Prize at Cannes and securing an Oscar nomination in the foreign language category. He followed that with 21 Grams and was nominated again in 2007 for directing Babel. That film also scored a screenplay nod for Guillermo Arriaga, the screenwriter of all three acclaimed films. After that, the team split up when Iñárritu banned Arriaga from attending Babel's Cannes premiere, publicly dismissing the writer's contributions as an author of the film. 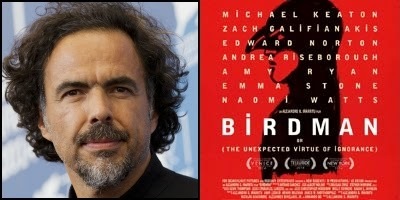 Birdman is Iñárritu's attempt to lighten up after what has been labeled his "death trilogy." Though nominated in the comedy categories at the Golden Globes, the end result is still firmly on the darker side of black humor. The screenplay, written with a team of three other collaborators, has won more than a dozen awards, including a Globe, and was nominated for a BAFTA, but was not eligible for a WGA award, which went to its closest competitor, The Grand Budapest Hotel, the only film in this category to outgross Birdman. Slightly favored to beat Birdman for Best Picture, Boyhood has a total of six nominations, putting it in a fourth-place tie with American Sniper for most shout-outs overall. Patricia Arquette has been winning prizes almost everywhere for her supporting role, including the Golden Globes, SAG, and BAFTA awards, and is expected to take home an Oscar as well. The film has captured top prizes at the Globes and BAFTA, and has cleaned up with over 140 other awards, but the script, while nominated at the Globes, BAFTA, and the WGA, has only claimed three writing prizes. Boyhood is also up for five Independent Spirit Awards the night before the Oscars, but not for its writing. The screenplay's poor showing is most likely due to the false perception that the film is unscripted. While certainly the scenes from the later years of this twelve-year project remained unwritten when the cameras started rolling in the early years, each sequence was fully scripted before it was shot. In that sense, the screenplay developed more like a TV series with just one episode per year. The fact that it all came together so beautifully makes it even more of a special achievement. In contrast, Interstellar, which was shot with one completed screenplay, felt more like two or three stories jammed together with really loud glue trying to keep them in place. Boyhood has the second-lowest gross of all Best Picture nominees (ahead of Whiplash) and the second-lowest for the five original screenplays cited (ahead of Foxcatcher). Its other Oscar at-bats include Best Director, Best Editing, and Best Supporting Actor. 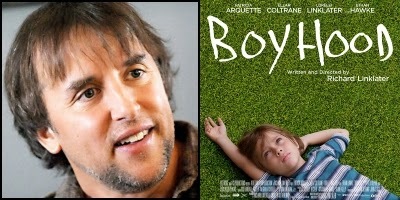 The film's writer-director, Richard Linklater, was previously nominated in the Adapted Screenplay category for co-writing the two Before sequels, Before Midnight and Before Sunset. His other credits include Dazed & Confused, School of Rock (soon to be adapted as a TV series on Nickelodeon), and the 2005 Bad News Bears remake. This is the first Academy Award nomination for screenwriter E. Max Frye, who began his career with the acclaimed Jonathan Demme comedy Something Wild. At a recent Q&A panel with seven of this year's Oscar-nominated screenwriters, Frye indicated that he had very little to do with the final draft or production of Foxcatcher, making it the only one of the ten nominated scripts in both categories to have another writer hired to rewrite the original scribe's work. 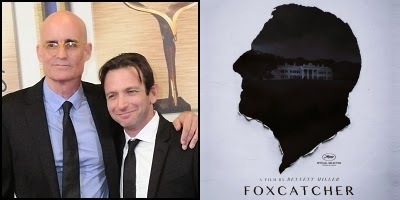 The new writer, Dan Futterman, was previously nominated for writing Capote, his only other feature writing credit (making him two for two), also for Foxcatcher director Bennett Miller. The July 1, 2008 draft of Foxcatcher credits Miller, along with Frey and Futterman, for the story, but ultimately that credit did not make it to the screen, making Foxcatcher the only nominated original script this year whose director does not have a writing credit. As a consolation, Miller is the only director nominated this year for a film that was not nominated for Best Picture. Foxcatcher is also the only nominated original script this year based on a true story. While it is not credited on screen as being based on any source material, the film's only surviving subject, Mark Schultz, has promoted his book, Foxcatcher: The True Story of My Brother's Murder, John du Pont's Madness, and the Quest for Olympic Gold, as the basis for the film. Shortly before the Oscar nominations were announced, Schultz engaged in a Twitter tirade denouncing the movie and threatening to end Miller's career, only to later apologize and call the film a "miracle." Tied with Whiplash, The Theory of Everything, and Interstellar at five nominations, Foxcatcher is one of two nominated original screenplays not in the Best Picture race. Its lead actor and Mark Ruffalo in the supporting category are both up for gongs, as is the creator of Steve Carell's prosthetic nose. The movie scored the lowest box office gross in the original screenplay category and its only other writing nomination comes from the WGA, so expect the script to be an also-ran at the Oscars. 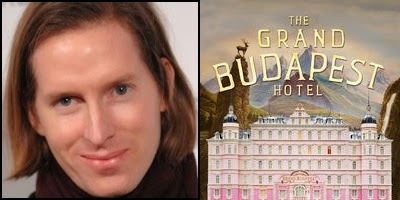 Said to be partly inspired by a novel, novella, and autobiography from Austrian author Stefan Zweig, Wes Anderson's The Grand Budapest Hotel is tied with Birdman for the lead in the most-nominations game with nine, including Best Picture, Best Director, editing, cinematography, production design, makeup, and score, but is one of only two original script nominees with no acting kudos despite its stellar cast (boasting three former winners and 11 former nominees, including current hopeful Edward Norton running again for Birdman). Anderson was previously nominated twice for his original screenplays Moonrise Kingdom just two years ago and The Royal Tenenbaums eleven years before that. His film Fantastic Mr. Fox was also nominated for Best Animated Feature in 2010. Budapest is the highest grossing film in the original screenplay contest, having taken in $59 million, and the third-highest grossing among the eight Best Picture nominees (behind two adaptations: American Sniper and The Imitation Game). The screenplay won the WGA award, where Birdman was not eligible. The movie also beat Birdman for Best Comedy at the Golden Globes, but lost the writing Globe to Birdman. However, Budapest won five BAFTA awards, including Best Screenplay, but lost the Producers Guild's top prize to Birdman. While Best Picture is expected to go to either Birdman or Boyhood, clearly the top contenders in the writing category are Birdman and Budapest. Traditionally, Oscar liked to heap acclaim onto one film in as many categories as it could to justify naming it the "best" of the year. Lately that has changed. In five of the last ten years, the Best Picture winner lost either the director or writing trophy. The scales seem to be tipping a little bit in favor of a Budapest upset in the screenwriting category this year. This is the only script nominated in either writing category that failed to secure a single other nomination. The dark, Taxi Driver-like antihero thriller is the only more-or-less traditionally structured narrative in this group and is one of only two of these five original scripts, along with Foxcatcher, not competing for Best Picture. The gritty noir, which tells the compelling story of a crime journalist who blurs the line between observer and participant, was nominated for four BAFTA awards, including Best Screenplay, and five Independent Spirit Awards, including Best Screenplay and Best First Feature. It's the only Spirit-nominated script to be nominated for an Oscar in any category at all this year and was also nominated for a WGA award. 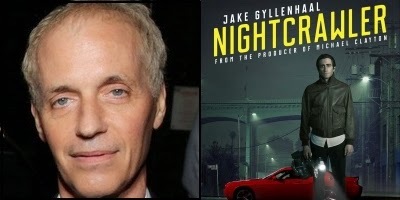 Screenwriter Dan Gilroy makes his directorial debut with Nightcrawler, co-starring his wife of 23 years, Rene Russo. His previous writing credits include Freejack, Reel Steel, and The Bourne Legacy, the latter co-written with his brother, Tony Gilroy, who directed that film and was nominated for Oscars in 2008 for writing and directing Michael Clayton. Nightcrawler is Dan's first Oscar nomination. Win, lose, or draw, he is next set to tackle adapting Stan Lee's Annihilator for the big screen. Listen to Jeff Goldsmith's Q&A podcast with seven of this year's Oscar nominated screenwriters at theqandapodcast.com. Show, Don't Tell. Even on TV.